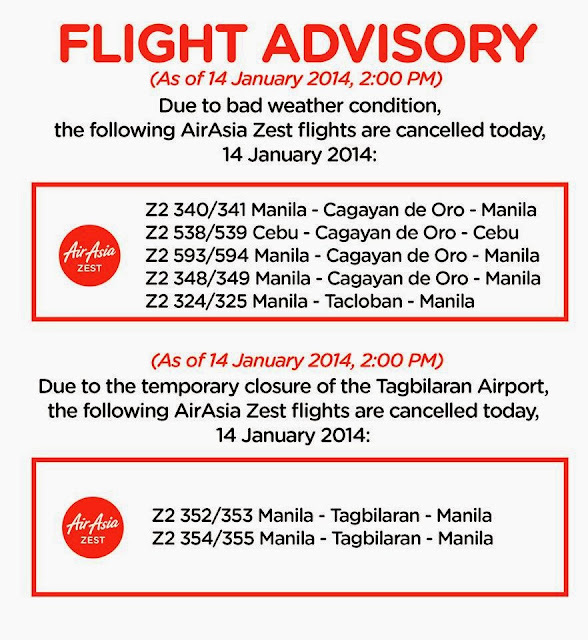 [FLIGHT ADVISORY] Please be advised that due to bad weather condition, AirAsia Zest flights to/from Cagayan de Oro and Tacloban are cancelled today, 14 January 2014. 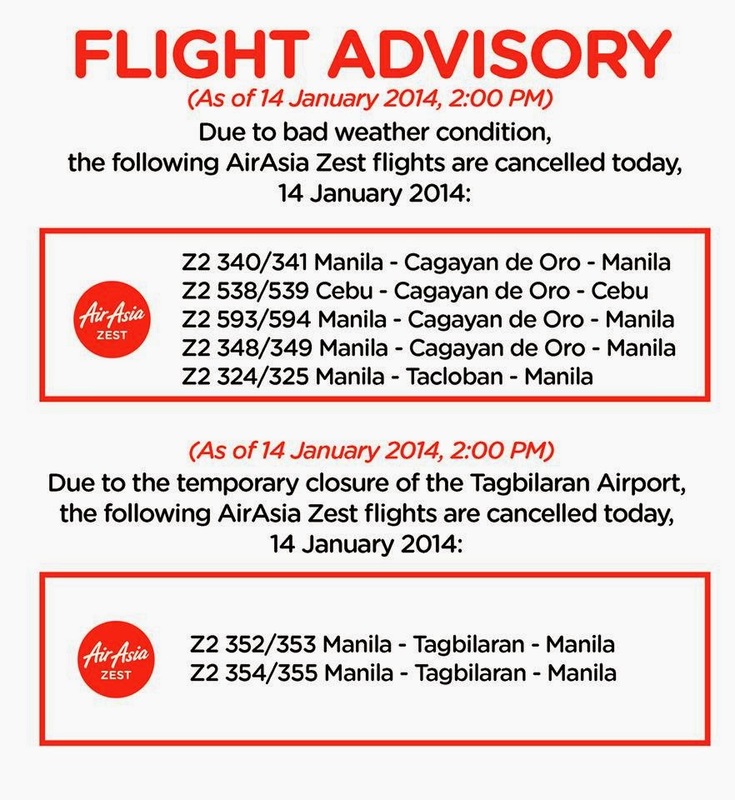 AirAsia Zest flights to/from Tagbilaran are also cancelled today due to the temporary closure of Tagbilaran Airport (please see photo). We will provide updates as soon as they are available. For more information and assistance, guests may call our hotline: (02) 742 – 2742, Mondays – Sundays; 7:00 AM – 11:00 PM. Thank you and we are hoping for everyone’s safety and understanding.